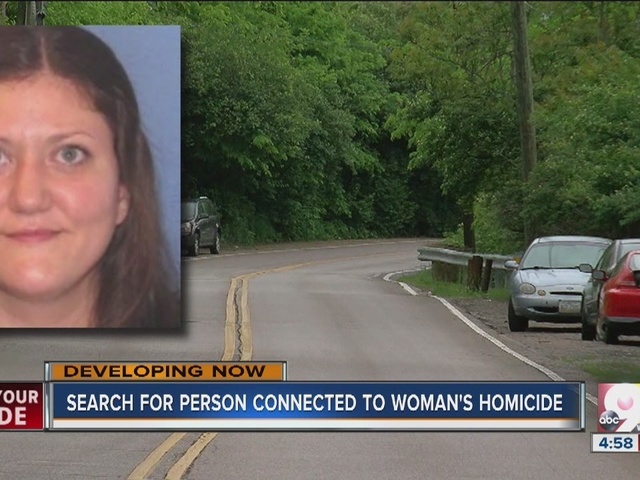 CINCINNATI -- Cincinnati police found the victim's car but not the armed man they were looking for while searching parts of Mount Airy Forest Tuesday in a homicide investigation. Police say they are still looking for 34-year old Joseph Swecker and consider him armed and dangerous. He was last seen driving Julia Boyajian's car and is a person of interest in the slaying of the College Hill woman Monday, according to police. Boyajian, 34, was a "beloved" school nurse at Mount Auburn International Academy. Visitors could hear teachers and students crying throughout the halls Tuesday. Everyone at the school is "heartsick," said Dr. Susan Moore, the school director. "That woman was meant to be a school nurse and be here. This was her place. She loved the kids. They loved her. They gathered to her," Moore said. Police searched the park for Swecker for nearly three hours. "We located her vehicle and we believe Mr. Swecker drove to this area. Searched the area extensively with our canines and we did not locate Mr. Swecker," said Lt. Steve Saunders, police spokesperson. Police had blocked off West Fork Road, Putz Drive and several other roads in and near the forest. They had said Swecker could be anywhere in the surrounding area and had warned residents to stay inside. The search was called off and roads reopened about 2 p.m.
Family members of Swecker were at the scene to help in the search. "Family members here advised us that they plan to make a missing person report with St. Bernard police department. That's where Swecker's last residence is so we can keep an eye out for him," Sanders said. Police would not say if Swecker and Boyajian knew each other. "I think they're still examining information that leads to his connection with the crime scene, but at this point I can't really comment on the connection with Ms. Boyajain," Sanders said. Police believe Swecker may be armed with a 9 mm handgun. He is white, about 6 feet tall, with shoulder-length, light-brown hair, police said. Swecker has not been charged in the homicide. At Mount Auburn International Academy, Boyajian's door has been converted into a memorial. There is also a big board where students have been writing notes to her. 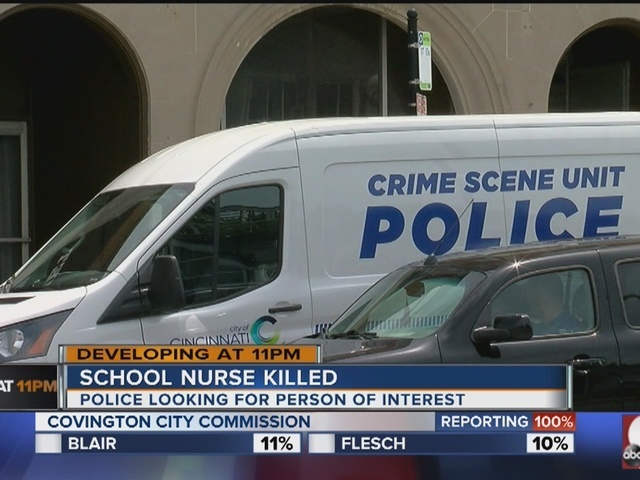 Moore said Boyajian had worked at the school for almost six years and was known affectionately as Nurse Julia. "She smiled, she was young and vibrant and fun. She was an extremely competent nurse. She didn’t just do Band-Aids and medications," Moore said. "Everybody here is heartsick. She was beloved here." Moore said she became concerned when Boyajian didn’t show up for work Monday. A staffer called police for a wellness check. A grief counselor was there for the staff Monday and a whole crisis team was available for the students Tuesday, Moore said. "The kids are doing really well. I am really proud of them. The older kids got it in their minds somehow, someway that they needed to take care of the grownups today, and that’s what they have been doing," Moore said. Boyajian was found unresponsive in her apartment on Hamilton Avenue near North Bend Road about 11:30 a.m. Monday. She was later pronounced dead at the scene. Anyone with information about Boyajian's death should call Crime Stoppers at 513-352-3040 or text “CINTIP” plus the message to CRIMES (274637). Tipsters can remain anonymous.